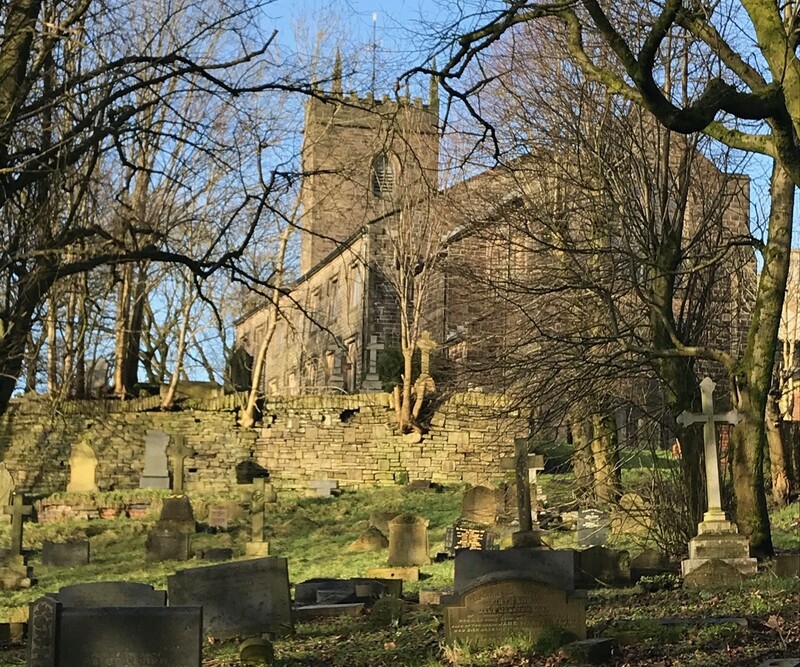 Valley Heritage announce that Newchurch is one of the oldest settlements in Rossendale and the Grade II* listed St Nicholas’ Church itself has a 500-year history. The churchyard contains Grade II* listed harrier hound monument of Methuselah Yates; however, over the past 40 years, the condition of the churchyard has deteriorated to the extent that is no longer safe to access. Thanks to the ‘Our Heritage’ grant from HLF, the restoration project will restore the churchyard and share the stories of those buried there, while making the site a place of beauty to be enjoyed by the local community once more. The project will involve the removal of diseased and dangerous trees, the repair of drystone walls and the repair of dangerous gravestones. Areas of weeds will be controlled, and biodiversity will be improved to encourage the site to become a haven for flora and fauna. The money will also fund archive research to uncover lost information about those buried in the churchyard. This information will be shared on St Nicholas’ website, on interpretation panels on permanent display in the church, and on leaflets which will be distributed to the community. In addition, a 3D survey of the site will be carried out to create a separate interactive website that will explore the graves and the churchyard’s heritage features. Working with archivists, ecologists and heritage professionals, the whole community will have the opportunity to be involved in the project and gain a wide range of new skills from drystone walling, to woodland management, first aid and website design. Alternatively contact The Reverend Penny King via email or 01706 211 122.